The 50 Movies Project is a personal “marathon” of mine. In June, I compiled a list of 50 movies that I felt I needed to see by the end of the year. Old, new, foreign, English — it doesn’t matter. These are all movies that I have heard a lot about and have been wanting to see for some time. This project gives me a way to stay focused on the goal. I was on a big Film Noir kick a few months ago, which coincided with my playthrough of the great LA Noire, so I made sure to add more than a few titles to this project. 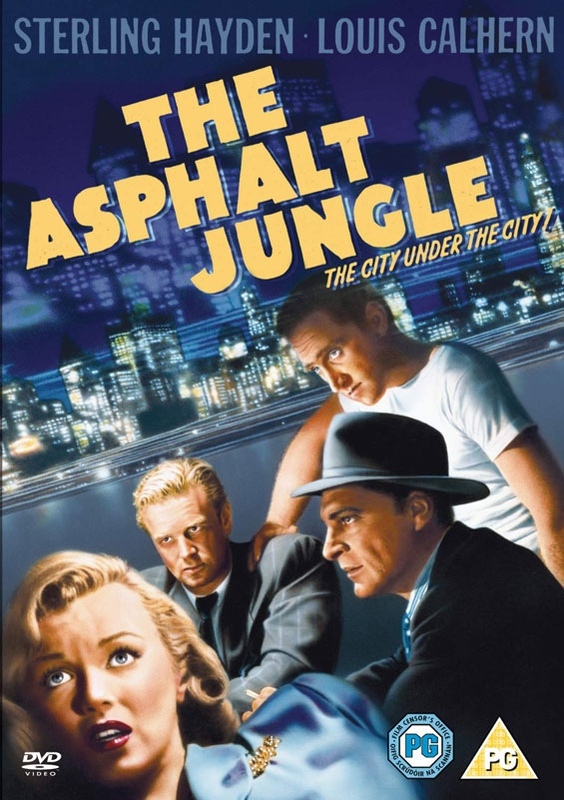 The Asphalt Jungle, in particular, is one that I have been staring at for a while, as I have heard a lot of great things about it. The movie’s title alone brings to mind a gritty urban landscape with a world of crime at its fingertips. 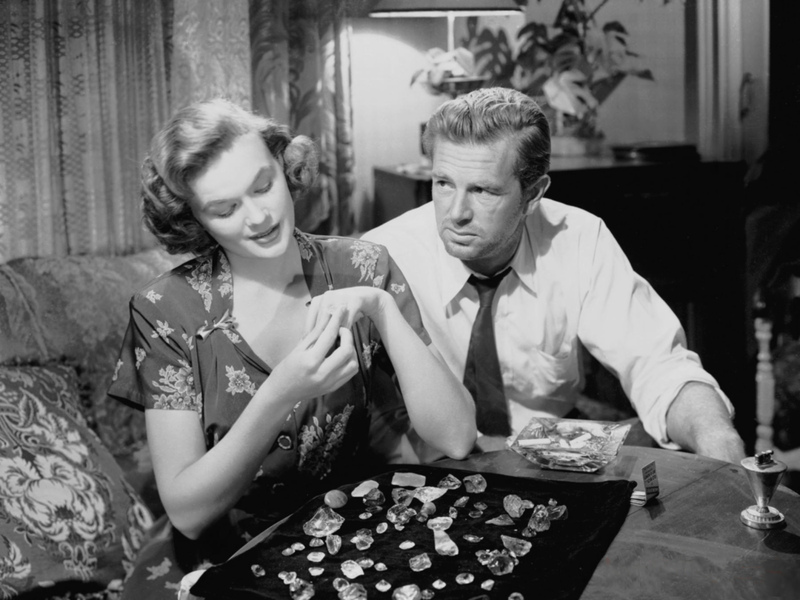 The Asphalt Jungle is a heist film in which a group of criminal masterminds plan out and execute a major jewel robbery. ‘Doc’ Riedenschneider (Sam Jaffe), fresh out of prison, is the brains behind the operation, as he has developed an elaborate way to seize millions of dollars of jewelry. In order to pull off the heist, he hires the talents of a professional safecracker (Anthony Caruso), a getaway driver (James Whitmore), a hooligan thug (Sterling Hayden) and a crooked lawyer (Louis Calhern) who will provide financial support. Everything looks to go according to plan until a series of unforeseen events wreaks havoc on all involved, something that seems to be the case for most caper films from this era. The actual heist scene — 11 minutes in length — is tense and well thought out. In fact, the crime, its buildup and its aftermath are all realistic, and this helps give the movie a more authentic feel than I expected. The cast is particularly brilliant, as the aforementioned criminals are joined by two lovely ladies: Jean Hagen and Marilyn Monroe. It’s hard to believe that this is the first movie I have seen featuring Miss Monroe, and she is downright stunning here. Both ladies hold their own against the males on screen. My favorite performance comes from Sterling Hayden, who is just terrific as the over-sized redneck thug. I have seen him in a few movies now, and he always seems to stand out above the rest. As far as noirs go, The Asphalt Jungle stands among the best I have seen so far. It is gritty with sharp dialogue and a stellar cast, and its realism is a good change of pace. I felt the film slowed down a little too much after the heist, but it was still an entertaining movie overall. I am glad I was able to finally watch this. manonmona reblogged this on Espacio de MANON. My response to this film was the opposite of yours. I enjoyed Jean Hagen, she seemed so real that it was almost painful at times. But I just didn’t like Sterling Hayden. And because of him, I didn’t enjoy the film. Sorry to hear that you didn’t like the film. I thought Hayden’s performance was pretty amusing, but I agree with you that Hagen was great. I would like to see more of her movies.